A lumbar herniated disc, referring to a condition where the inner portion of a disc leaks into the outer portion of the disc in the lower back area, is only a problem when the disc material presses on a spinal nerve root. While there are many ways to relieve the pain or discomfort sometimes associated with a lumbar herniated disc, there are some little-known remedies also worth considering. Muscle spasms can enhance any discomfort you may occasionally experience from a herniated disc. Heat, in the form of a heating pad applied to the lower back for 15-20 minutes at a time, can sooth muscles and reduce any related inflammation. The purpose of epidural steroid injections is to deliver immediate relief to the affected area of the back. Your doctor can determine if you’re an ideal candidate to receive shots, which can typically be given up to 3 times a year. Performed by either a physician or chiropractor, manual manipulation involves the application of a high-velocity, low-amplitude force to the affected area of the back to transfer pressure away from the compressed nerve root. The purpose of HVLA is to restore range-of-motion that may be limited due to pain. Using algorithmic analysis to determine a link between your bodily motions and the pain you’re experiencing in your back, the McKenzie Method is more of a diagnostic tool than a treatment. Your physical therapist will use the results from the analysis to recommend specific exercises likely to strengthen muscles and joints in areas of your back likely contributing to your discomfort. Mindful meditation is a practice that encourages relaxation through controlled breathing and other techniques. It’ll take practice to learn the basics, but it can be an effective way to re-focus thoughts away from your discomfort. There is no single solution that works for everyone with a lumbar herniated disc. If you want to save surgery as a last resort, however, there are many treatment options to explore in an effort to find meaningful relief, which is often accomplished through a combination of remedies. 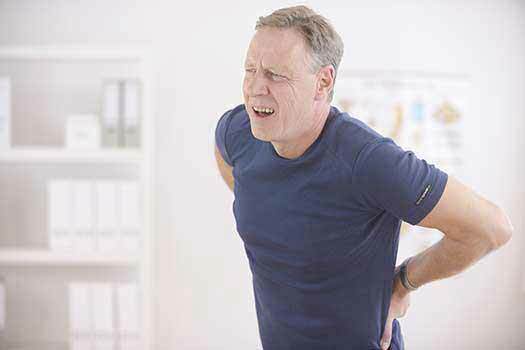 If your pain isn’t responding to conservative methods, it might be time to reach out to a spine specialist to learn more about surgical options for back pain. The experienced diagnostic team and spine surgeons at The Spine Institute Center for Spinal Restoration can help you find meaningful relief. Call (310) 828-7757 to request an in-person consultation.